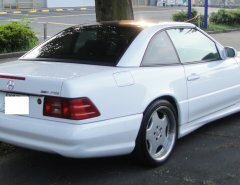 Rewind a few years and you will remember many articles telling you to buy certain Mercedes cars such as the 190 Cosworth and the R107 300SL? Well, they were correct and the prices have since shot up. The 190 Cosworth and R107 300SL are now in the category of “classic cars” and the values will continue to rocket as the years go by. 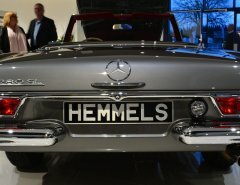 If you are in the position to buy one of these, then great, however the majority of Mercedes Enthusiasts and classic car hunters want to know what future classic Mercedes are out there now. The W124 was the flagship Mercedes Benz and many will agree one of the greatest Mercedes built due to reliability and build quality. 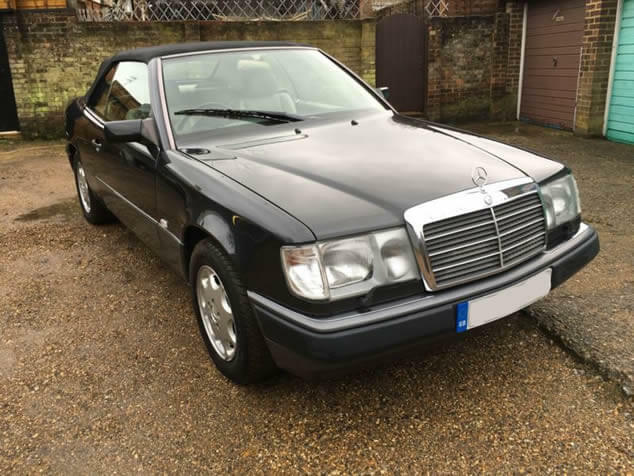 The 4 cylinder W124’s were great but nothing to shout about and are more in the “Practical Classic” or “Daily Driver” category. The same can be said about the saloon and the estates, great cars but not eligible for future classics. 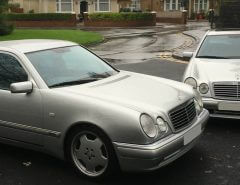 The W124 models to look for are the Cabriolet and the Coupe both with either the 320/300-24v engine. Current prices are quite low for the Coupe, around £700-1500 for ones requiring “a bit of work”, £2000~ for average condition examples and £5000 for above standard. 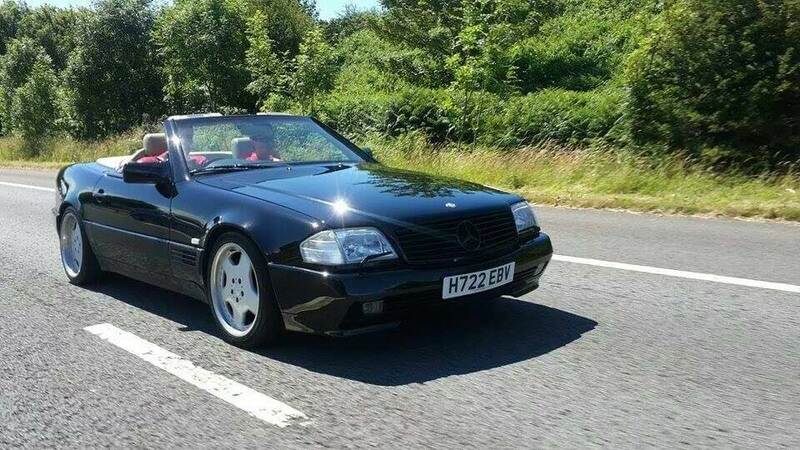 The convertible W124’s are the flag ship models and prices are already starting to increase. Expect to pay an additional £4000 onto the figures of the coupe. 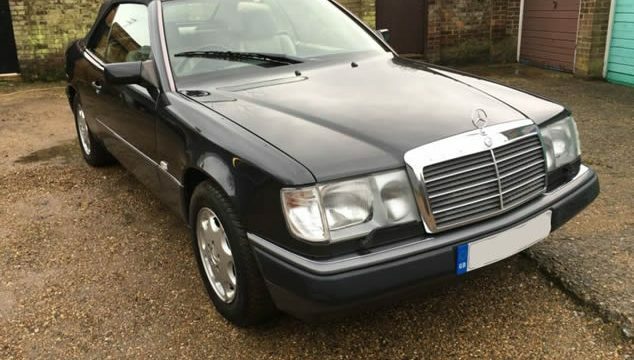 The W124 500e is more collectable because it was produced in collaboration with Porsche and is known as the god father to all the fast saloon cars of today. Not only this, the 500e has a large 5.0 litre V8 and a very noticeable front apron compromising of very wide arches. The 500e was only built in left hand drive but this hasn’t stopped the prices in the UK from rocketing. It may be too late to buy a cheap one in the UK with prices over the £10,000 mark. 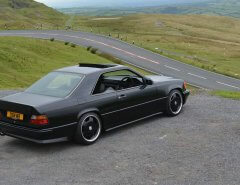 These were the last of the “proper” AMG’s as some enthusiasts would put it, they were hand built, which means you can perform essential DIY without needing a STAR machine. 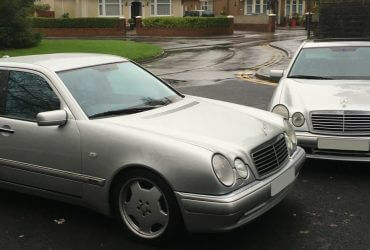 Both the W210 and W202 had outstanding performance when new, 354bhp for the W210, 280bhp for the C36 and 306bhp for the C43. Prices are as cheap as they will ever be for both models, you can pick up both for under £5000 and even cheaper for ones requiring a some TLC. As mentioned, these are the last of the hand built AMGs and both engines are bullet proof. The only problem with both models is that they suffer badly from rust. Find a rust free example or alternatively sort of the rust and you will have an appreciating classic car that will embarrass most modern cars at the lights. At the time of production, a 500SL new would cost similar to a house and even more when you add in all the options available. It was over engineered with all the gadgets available in 1990 crammed in such as the excellent active roll bar that would shoot up if the car was on the verge of rolling over. The M119 5.0 Litre 32v V8 326bhp engine delivers great all-around performance with a 0-60 at 6 seconds and a limited top speed of 155mph. 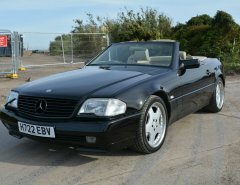 The cheaper 6 cylinder models (300 and 320) may seem tempted at prices between £3000-5000 however the V8 500SL is the one to go for. 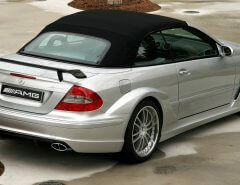 It is arguably one of the best Mercedes Benz sports cars ever built and currently very affordable. Prices start at around £4500 but if you stretch a bit further, facelift models with the panoramic hard top, heated seats and additional walnut wood are the best buys that are certain to appreciate rapidly.